Arsenal had scouts checking on two targets in the weekend’s AC Milan v Cagliari clash, according to a report in Italy. Unai Emery’s side were represented in Milan as the hosts coasted to a 3-0 Serie A win with two players apparently under scrutiny. Tuttomercatoweb claim former Liverpool winger Suso was one of the the player the Gunners were checking on as they get together a target list for the summer transfer window after the collapse of their move for Ivan Perisic. The Spaniard left Liverpool in January 2015 and has since become a star man at Milan, becoming their main creative force under Gennaro Gattuso. The 25-year-old Suso is regularly linked with a return to Anfield, and in December Liga Financial claimed Jurgen Klopp was planning a €40m move to Liverpool. According to a recent report from Calciomercato.com, Milan are beginning to sweat about the situation surrounding the star Spaniard and his contract situation. Club director Leonardo would like to extend the player’s deal and “resolve the issue related to the release clause, set at around €40million”. Speaking to The Guardian last May, the former Cadiz prodigy insisted he is “very happy” at Milan, though could be tempted back to Anfield one day in the future. 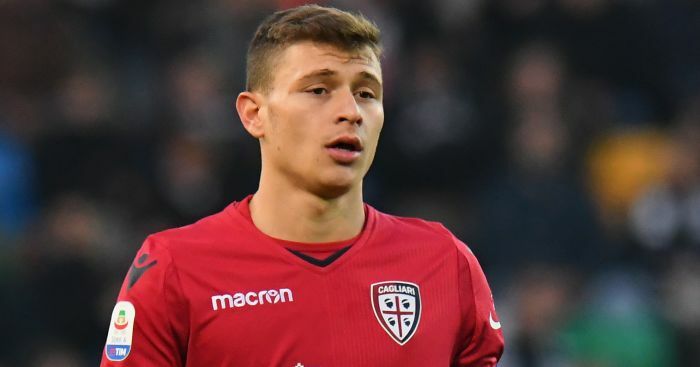 Arsenal though, as per Tuttomercatoweb, were also watching Cagliari midfield ace Nicola Barella. The report claims Cagliari want €50million for the player, who is also wanted by Napoli, Inter and Roma. The post Arsenal scout €40m Perisic alternative wanted by Liverpool appeared first on teamtalk.com.